Nowadays, more and more people are investing into the use of corrugated plastic. But what exactly are they? There are two types of corrugated plastics depending on their structure. The first type is popularly known as ‘twinwall plastic’ and is composed of two layers of plastic with a ribbed sheet center. The second type, enforced with fiber glass, is made to appear waved in form, much like regular roofing materials. With a wide array of possible uses, whether it is for that tall new building or that project you’re working on inside your garage, it is not surprising that more and more people are using it. Here are four alternative ways of using it for your own DIY projects! As corrugated plastics are strong materials capable of withstanding a huge amount of weight, coupled with its amazing flexibility, it is an ideal item to have for transferring your stuff from here to there. It’s easy to cut, staple, and shaped to your own taste too, so rest assured that your stuff will be safe from damage and dents. As it is versatile enough to withstand various chemicals and temperatures, it can also be used as roofing to your blooming garden. By using semi – translucent sheets of this plastic, you are able to give your plants the natural skylight. And don’t worry about it getting heated up by the sun, as it can also be UV resistant. Cleaning won’t be a problem either, since it is very easy to do so, and your standard garden hose can help you with that effectively! Don’t get the wrong idea; they can handle more than just flowers. Landscape artists and gardeners alike have been using it as homes for various plants too, whether temporary or permanently. Their insulation and resistance to temperature makes them ideal for such uses. Due to its durability and light weight, makers began to use them in place of balsa wood for its cheaper price and high resilience. Mostly used by beginners, the use of corrugated plastic in this field has evolved as developers are now using it for their advanced models. Corrugated plastic is indeed very usable in various ways. It comes in different colors and works with coating upgrades, such as UV protection and anti- scratch, so don’t hesitate to try and explore more of its uses! In many cases, homeowners would be relying on nothing more than gut-feel when designing a home with fittings, furniture, and decor. They also tend to skim through sources of design ideas. But chances are, you are overlooking the most important and fundamental design elements required to create a masterpiece of a home. Space is the most fundamental element of interior design. The key takeaway here is to remember that there are two types of Spaces. The first is Positive Space which is filled with furniture and decor. The other is empty space which is also called Negative Space. The ideal is to achieve a 50/50 balance between these spaces. There are more to colors than you would normally think. Color psychology is a great interior design topic to educate yourself on. That’s because color sets the overall mood that people would experience when they step into your house. A great way to start with colors is to experiment warm colors with cool colors. For example, orange is a welcoming color but still is a hot color. Mix it with cool colors such as blue and you’ll achieve a nice aesthetic balance to please the eyes. Texture is quite an advanced topic to master. But it’s vital for adding depth and character to your home. Textures are divided into two types. A texture that can only be seen is called visual texture while texture that can be seen and felt is called actual texture. A rule of thumb when it comes to textures is to balance out dominant textures with a contrasting one. For example, having a visual texture such as a wallpaper should be complemented with actual textures such as bed linen of the same color. Lastly, you should also gain a basic understanding of lighting. Without light, all 3 of the above elements are redundant. Lighting is typically categorized into 3 types – Accent lighting, Task lighting, and Ambient lighting. Accent lights are used to highlight showcases. Task lights, as its name suggests, are used for a specific task such as a table lamp. Ambient light typically sets the mood for the whole house. Hence, knowing what kind of lighting to use in the house is very important. So before heading out to buy furniture in Malaysia, it’s great to educate yourself on these 4 elements of interior designing. This way, you can create a comfortable and an aesthetic home for you and your family. Malaysia prides itself on a lot of products and furniture is one of them. 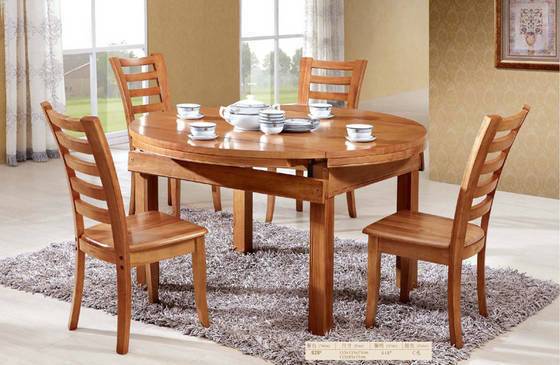 There are plenty of high-quality wooden furniture that can be bought in stores, malls, as well as small shops that sell hand-made furniture. The wood is sourced from within Malaysia and are treated, shaped, and carved into ornate designs and styles. You can find the best furniture in Malaysia being used inside multinational corporations, schools, libraries, tourist spots and much more. They are known for their quality and durability. Only the Best from Malaysia. But don’t think that only rich people can afford to buy these pieces, even ordinary folk can. Aside from pure wooden ones, there are also plenty of modern and contemporary pieces that can be bought at a more affordable price. 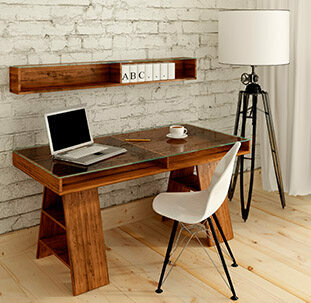 Although these pieces use lower quality wood, it doesn’t necessarily mean that the products are inferior. The heavy, wooden pieces often use hard woods. These can be carved for designs and shaped any way you like it. Most often these not, these come from huge chunks of wood and are whittled down during the creation process. It takes time to make, and the wood is also more difficult to come by. Customers can even request to have pieces customized according to their specifications. At times, companies request extra long conference tables. Other clients wish to have an old design copied to be reminded of childhood times in Penang. The everyday pieces, on the other hand, have wooden frames and are made with smaller pieces of wood. They are not as expensive and the wood is obtained more easily – this is why it costs less. The frames are nonetheless sturdy and the end products are also durable. If you’re looking to add interesting pieces to your home, you can have smaller dining tables made, or a charming display case of wood and glass. You don’t have to search far and wide to buy high-quality furniture. To make the search easier and faster, you can browse different catalogues online and order from there. The order process is simple, and you can enjoy the convenience of having the items delivered right to your doorstep. Go ahead, try it!